Happy Friday! Hope everyone had wonderful weeks and are looking forward to even better weekends. It's Memorial Day Weekend in the US, so while you go about BBQing and having fun, please take some time to thank those who have served in your countries' armed forces. Regardless of ideology, these people protect and serve and deserve our love and respect. Speaking of the weekend, going to hit any movies? 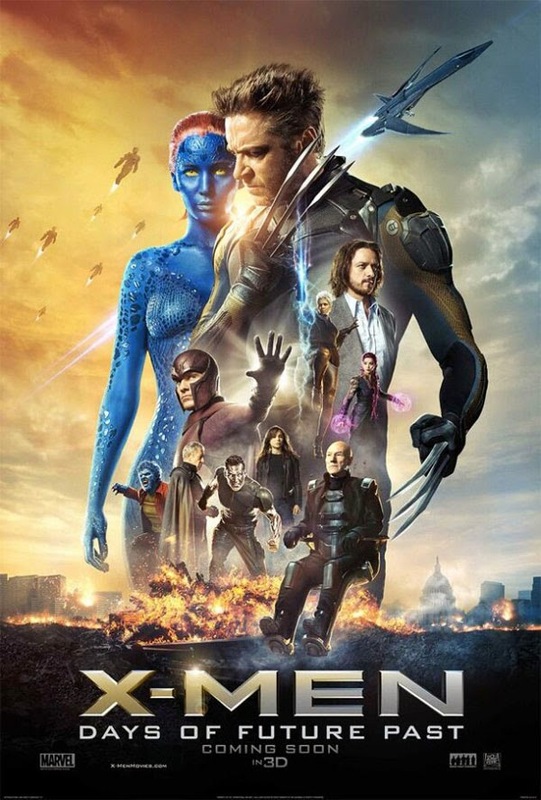 If you are, or even if you're not, check out my review of X-Men: Days of Future Past over at Slice of SciFi, and join the discussion there, too! Then head over to Bloody Cake News where the yap is running as the latest in their Perilous Roses interview series. They ask new questions, BTW, so there are new answers. It's all made of win! More Geek Than Gay has details on my SoCal trip, either via YouTube video or audio. Remember that Phoenix Comicon is just around the corner, and you really want to be there if at all possible. Moi, other fantastic authors like Jim Butcher and Charlaine Harris, and tons of media guests like Nathan Fillion and Stephen Amell. And so very many more. This con is growing in leaps and bounds, so don't miss it -- it's gonna be BIG. CopperCon FANtasm is just around the corner, too. While I'm the first Author Guest announced, I won't be the last, and this con has a great focus on literature, so if you want an intimate con where you're hanging out with all those people you came to see, this is the con for you. May's almost over -- have you gotten your May Issue of Penumbra eMagazine and your yearly subscription yet? If not, why not? 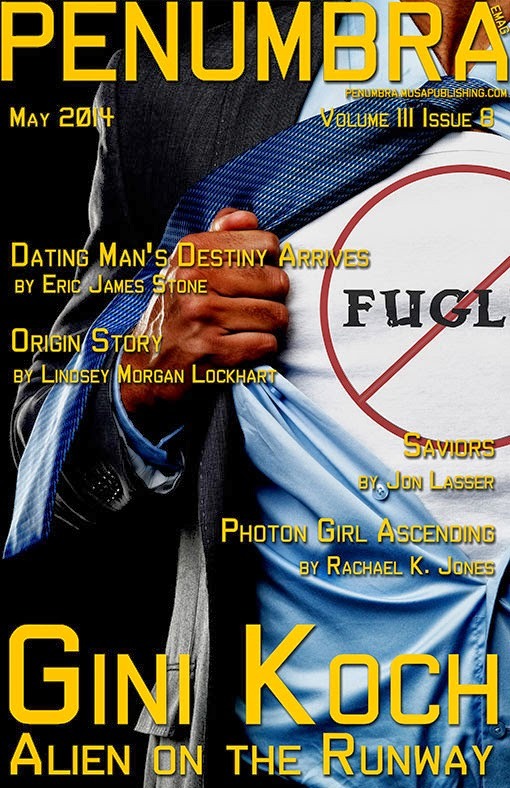 May's issue has the first of my Alien series short stories in it, "Alien on the Runway". And July's issue will have the next -- "Mr. Dash Saves the World". And a third is coming later in the year. So, don't delay, use the coupon code 2014Gini to get your subscription for 50% off AND get The Best of Penumbra 2012 and 2013 as well! The Brenda Novak Auction for Diabetes also is ending at the end of the month. Have you bid on my cool Alien Pack yet, or on the tons of other awesome things up for grabs? All funds go to a great cause, so bid a lot! Last but not least, author Chuck Sambuchino has a great article on the things you can do to support the authors you love. They're all easy, and they're all hugely appreciated. That's it for today, but as always, more's on the way! So enjoy the (for some of us long) weekend, and let's be readers out there! Peace out, my li'l gangstas, and I'll catch you on the flip side! Release Day Yapping & Winning!